Announcing TCMF X Showcase Sets! 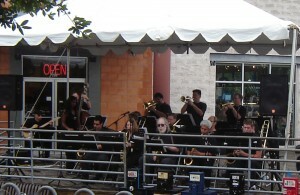 NAJO (then known as the North Austin Jazz Orchestra) performs on the Showcase Stage during the first Texas Community Music Festival in 2006. Austin — Texas Community Music Festival is pleased to open additional 15-minute showcase sets for the two weekends of the Tenth Annual TCMF, April 17-26, 2015, at Central Market North in Austin. Because of the tremendous demand for performance opportunities in this, the Tenth Annual TCMF, we will be accepting single musicians as well as groups up to “big band” size wishing to perform in 15 minute increments. In the past, these sets have been performed from the covered deck at Central Market Cafe, and best suited to solo performers and acoustic groups of up to four or five musicians. This year, however, we will be moving these 15-minute “break sets” to the right of the stage, nearest to the parking lot entrance to the CM Cafe, and will be open to groups as large as 16 musicians. This space was used for performances during the first two TCMF’s and this year, we’ll be providing a canopy similar to the one on the main stage. We also hope to be providing a small PA for singers and announcements, but we won’t be providing a large enough system to mic a large group. If you’re interested in getting in on this year’s historic festival, please consider reserving two of these sets, guaranteeing you and your ensemble will get 30 minutes (at least) to perform while the main stage transitions between acts. First priority will be given to groups who have already requested a place on the cancellation waiting list, so hurry. These slots will be filled faster than you can say TCMF, regardless of your pronunciation. For more information, please contact us at info@tcmfestival.com. The Texas Community Music Festival is Texas’ oldest festival celebrating the vast and diverse community of Texas musicians. The 2015 TCMF is our 11th festival (2013 saw a festival in fall as well as spring) and has drawn tens of thousands of music lovers of all ages. 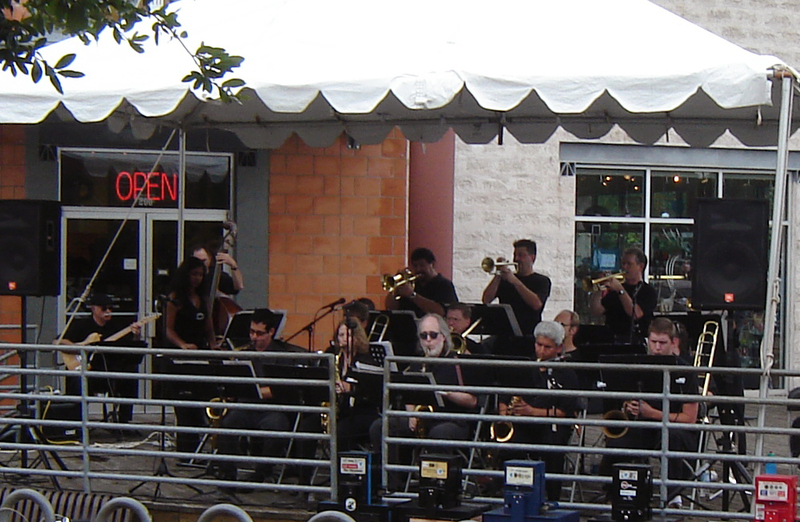 A production of the Austin Civic Wind Ensemble, TCMF has been graciously hosted by Central Market since its inception in 2006. As always, all performances at TCMF are family friendly and free to the public.